There are two different ways to achieve time dilation: gravitational and relative velocity. Since relative velocity requires you to speed up to near the speed of light, and, thus, take you farther and farther away from your target, we'll just focus on gravitational time dilation. The trouble with gravitational time dilation is that you need, as the name suggests, gravity. You know what has a massive amount of gravity? Black holes. You know what's possibly the most destructive force in the known universe? Black holes. So, what you need is the gravitational force of the black hole without getting too close to one. So how do you do that? What you'll need is a way to punch through the universe to get from one end of it to another by use of what's known as a wormhole. And now you're thinking with portals. So, as you can probably see, the bulk of your setup is going to focus on finding the black hole and building the wormhole. It'll be sort of like building a bridge from Earth to the black hole, except the bridge is an interdimensional, super-spacial, pathway through the universe. First you'll need to get your hands on some exotic matter. Don't ask me where you can get that, because if I made that information freely available on the Internet, then it wouldn't be quite as exotic, would it? Form that exotic matter into a spherical shell that's about the size of an average doorway. Once you have that, you'll need to focus its energy toward a black hole. You can find the coordinates to a black hole at any local observatorium, or at NASA. In fact, hit up Bobak Ferdowsi; I'm sure he'll hook you up. What you'll need then is to focus the energy of your exotic matter toward the coordinates of the black hole through use of a high-powered laser device. Once you have all that set up, you're ready to execute. Connect your exotic matter sphere to the high-powered laser, point it toward the black hole and flip the switch. It's that easy. You don't have to worry about being too accurate because the black hole will end up sucking in the other end of the wormhole, much like a snap-to-target option in a shooter video game. Here's the kicker: once you do this, the gravitational forces are going to come through the wormhole and end up making the entire planet go slower with you still on it. You won't save any time this way. From your perspective, nothing will really change, except you'll feel a slight pull toward your new wormhole. You'll only notice a difference if you sit outside of the gravitational field. So, what you need to do after creating that wormhole is to create another wormhole; this time to some place a little closer to home, like Mars. Refocus the laser, flip the switch again, and go through the wormhole yourself. Once you're on Mars, you may sense slight dizziness. There is now a massive difference in the flow of time between Earth and Mars, and it takes your head a second to get used to that. But now that you're on Mars, you can finish what work you had left. Leave the wormhole open, not just so you can get back when you're done working, but also so you can access your Wi-Fi connection back on Earth. You'll find that it runs a little slower because of the time dilation, but that's a small price to pay for time savings. 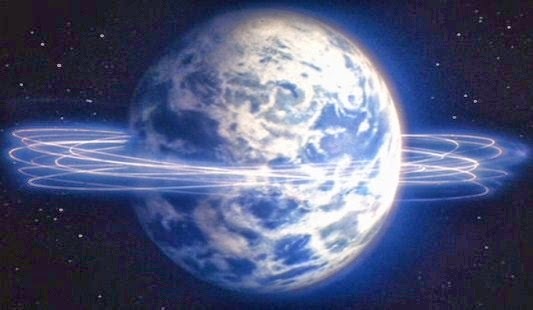 I recommend only keeping the black hole wormhole open for an hour or two (that is, an hour or two relative to the normal flow of time you'll experience on Mars), otherwise the gravitational forces will eventually end up ripping the planet apart. You have just taken advantage of the principles of special relativity to slow down time for the entire planet just so you could get a couple more minutes of work done. What's more, you've spent valuable time setting up and executing this science experiment, not to mention the time it took to hunt down and manipulate exotic matter, when you could have spent all that time completing the tasks you've procrastinated on for work. In the graphic novel, Watchmen, Dr. Manhattan teleported himself to Mars so he could escape humanity for a while and just think about existence. Perhaps while you're on the red planet, it would be a good idea for you, too, to ponder all the time you've wasted in the name of saving it. But, perhaps more importantly, why you're heaping more and more items on your agenda. Are you running from something? Do you not want to think about something? What existential horror are you trying to ignore that you've ended up directing all your mental energy away from it and toward busy work? You're only one person; you can only do so much. Try delegating tasks, or just admitting that you could never get around to some of them. Even God himself took a day of rest. Try seeing how much more you can accomplish with a day off. And for God's sake, turn off those wormholes! I can feel my existence shredding!